Still High Open Interest Builtup in 6200CE. 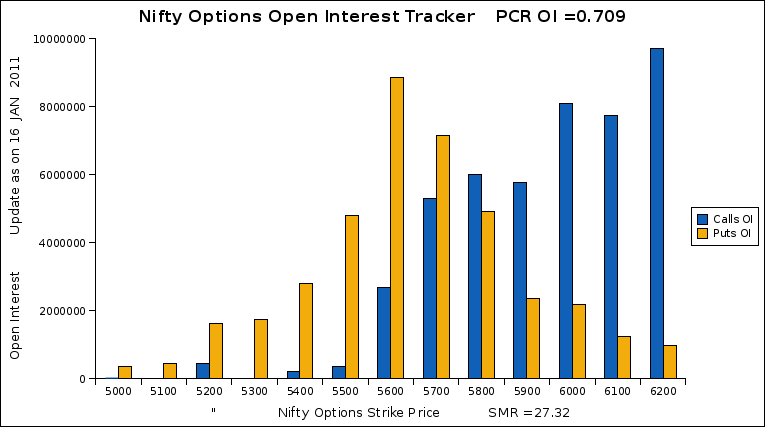 But a comparatively higher open interest in 5600PE. Possibly chances of holding 5600 still Jan 2011 Expiry. do you have amibroker afl for pcr ratio calculation?